Psst, these lenses can also be identified by their code number thingy, which is WM-101 for the EOS Bubble series. This review is all 100% my honest opinion, even though this pair of lenses was sponsored. I really value being honest to all my readers. 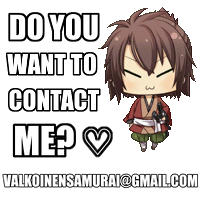 You can use my discount code "SAMURAI15" to get 15% OFF on your purchase from LensVillage! 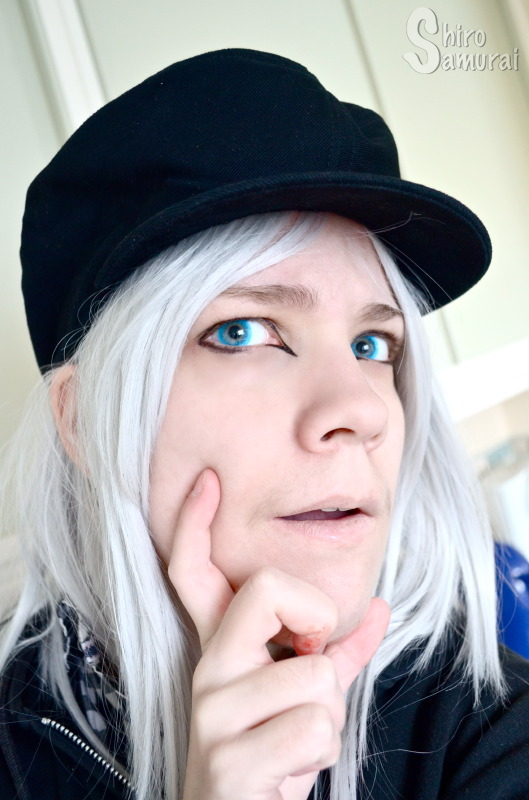 Note: My lenses came in TheDollyEye's vials, but the manufacturer is still EOS. 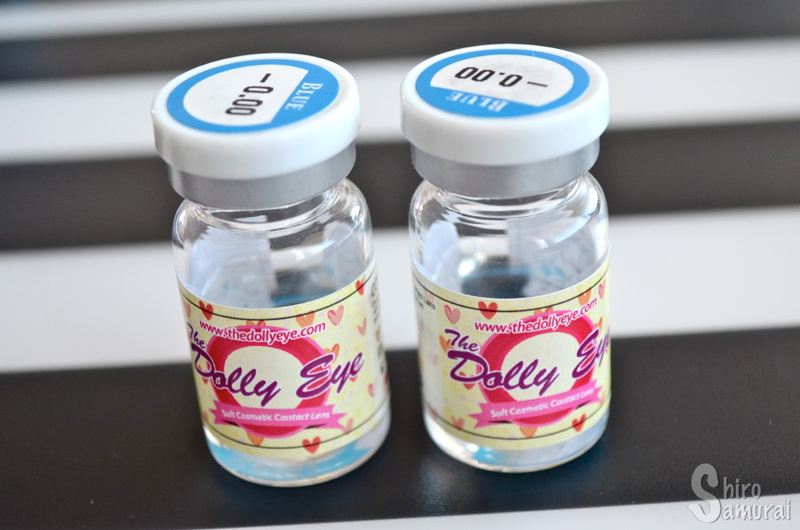 TheDollyEye is just a rebranding label. 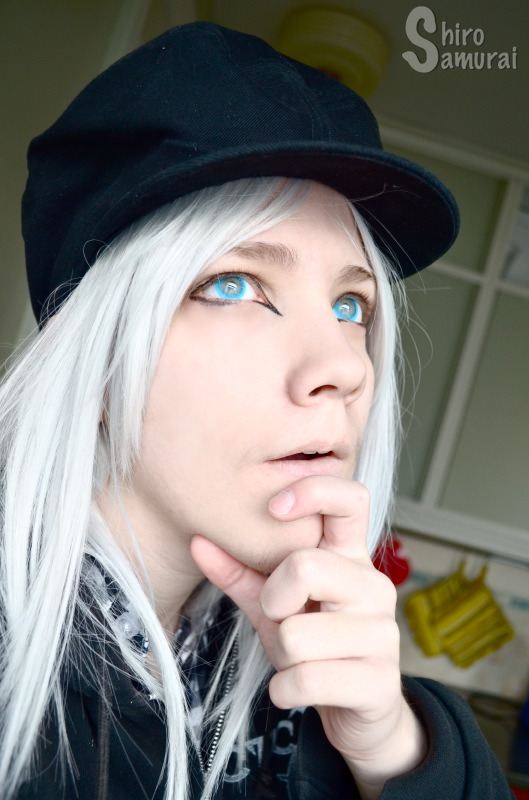 Some big circle lens producers like EOS, Vassen etc sometimes do this. It doesn't mean that you received the wrong lenses or fakes. 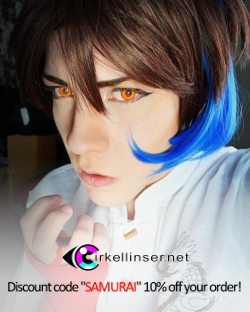 I had seen reviews of these lenses before I got them myself and yeah, I was aware that they'd be super vivid and that's totally why I wanted them! So yeah, as per usual I put the lenses to soak for 8+ hours before wearing them and, heck, need I say that I was eager to try 'em on?? 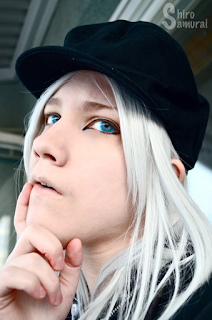 My real eye color is blue-gray (mostly blue) with a slight greenish tint. I popped the lenses into my eyes no problem and once they were in I didn't even feel that I had contacts on! Eff yeah, I love comfy lenses! They stayed super comfortable for the total 5 hours that I wore them, with only some minor feeling of dryness which occurred around the 1,5 hour mark. All photos taken by me during an October afternoon with a semi-clear sky! There's no color filters or such on the close-up photos and that's so that the colors would be as true to real life as possible. Indoors, back against the window. Super bright light. I'm standing very close to a window indoors. All close-up photos below are taken outdoors while I'm standing on a balcony on the third floor, with the sun being hidden by clouds. Same as above. Sideway glance. Facing the sun, but with my head tilted up towards the sky/roof. Half-way turned towards the sun. These lenses are supposed to have a big diameter (14,8 mm) but they just don't seem that big for me. Not like I mind because I like lenses both big and small. 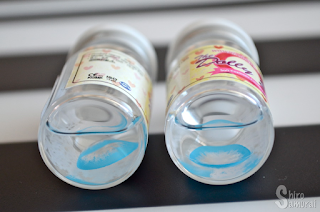 But I do think that the main factor for why these don't look as big as other lenses of the same diameter is because the EOS Bubble series completely lacks a dark limbal ring. This feature almost always gives the illusion of bigger and more beautiful eyes so yeah, lenses without it tend to not give the "big eyes illusion" as well. Lastly I have a batch of distance photos! 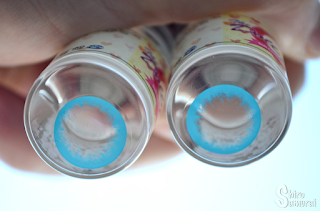 Seriously, if you like your blue lenses super-duper blue then the EOS Bubble Blue just might be one of your best choices! 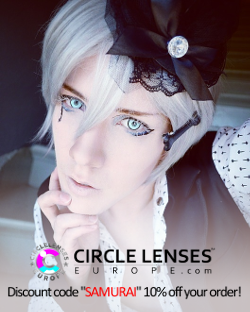 ;) These are a good pick for cosplayers and anyone who isn't afraid of donning lenses that are sure to make you stand out! 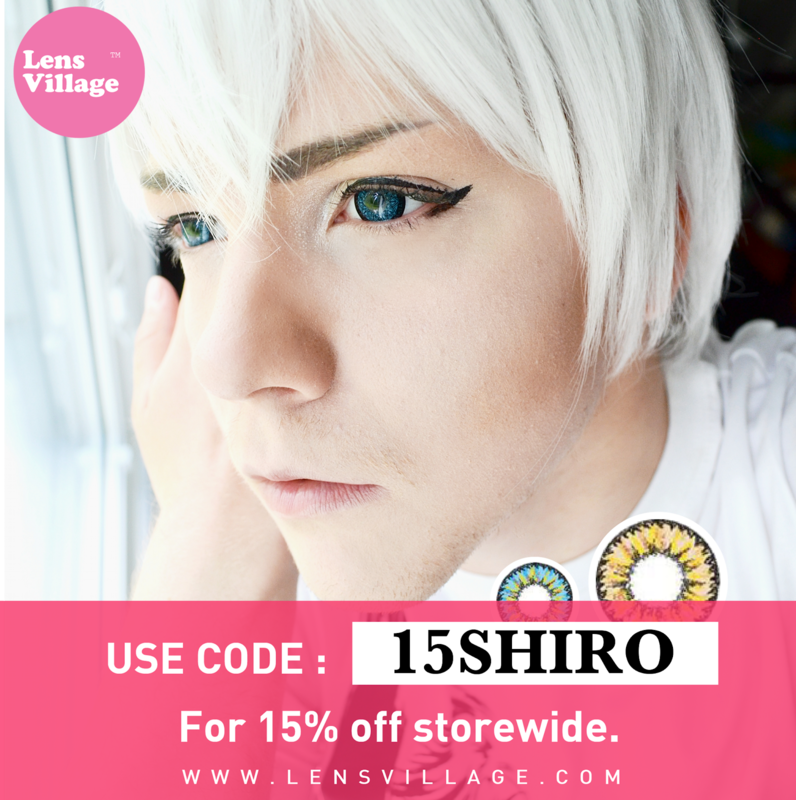 Use my discount code "SAMURAI15" to get 15% OFF on your purchase from LensVillage! Super bright and vivid cyan blue shade that really pops out! The color is awesome, period. Very simple design with no dark limbal ring. 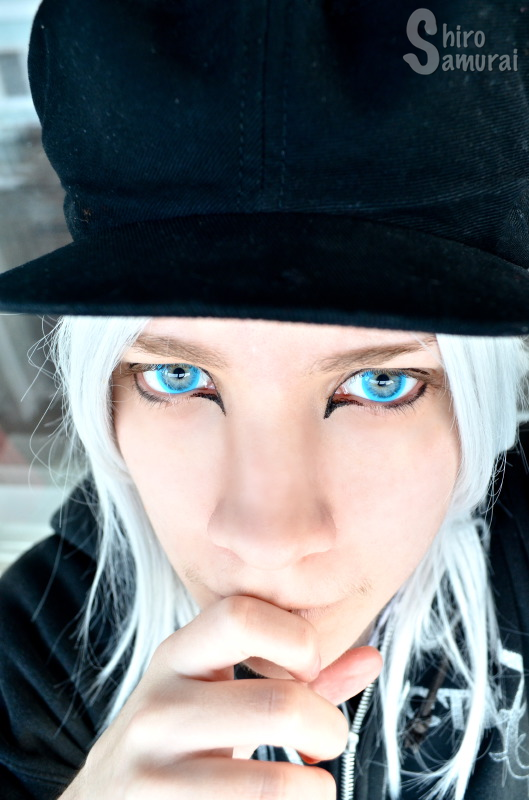 The inner edges fade out towards the pupil, for a slight blending effect. 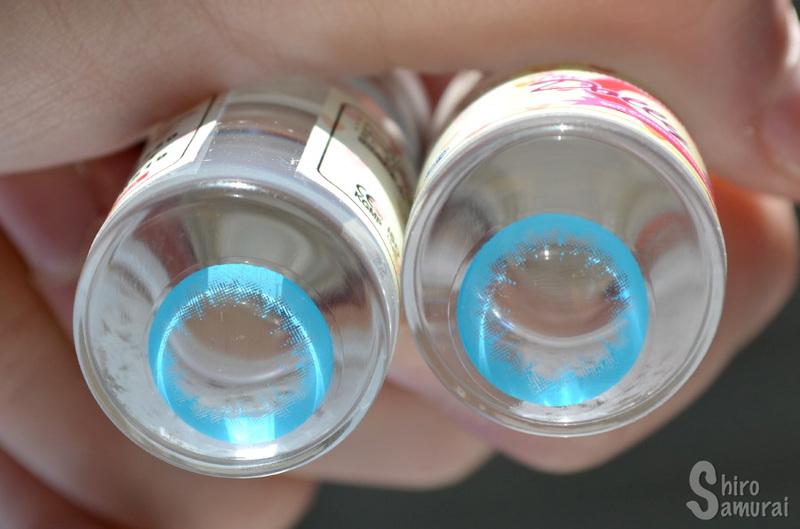 Disregarding the big pupil hole the blue color itself is as opaque as it gets. Even though an 14.8 mm diameter is considered bigger than average (at least for me) these don't look very enlarging. I think the lack of a limbal ring is a big factor for why these don't pull off the "big eye illusion" as well as lenses that have the dark rim do. Surprisingly comfortable. As soon as I popped them in I didn't feel them. Before the 2-hour mark I felt some slight dryness but that went away. I wore the lenses for 5 hours with no issues. Realistic... where? :D It's a rad lens for rad people! Forget these if you want something natural. Wow, they look quite unusual!